Due to the growing focus on industrial safety, more and more workers now wear protective clothing. 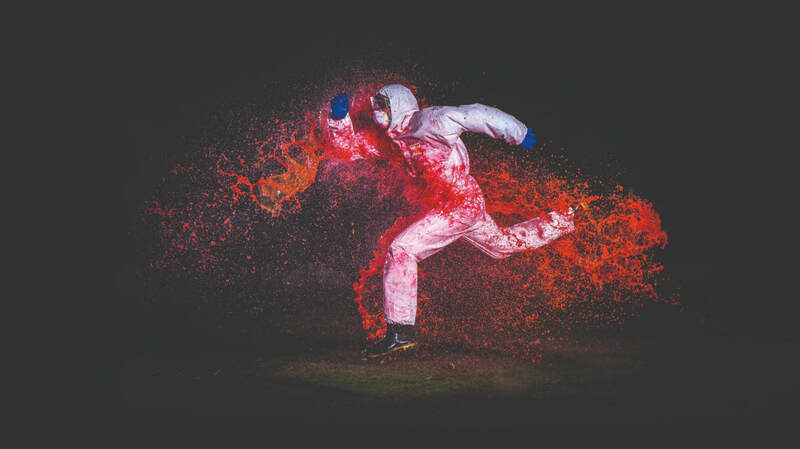 While wearing protective clothing is important, choosing the correct product is more important. Suitable protective clothing not only protects workers from hazardous environments, but also provides optimal comfort. On the contrary, unsuitable PPE may be the cause of industrial accidents and injuries. To choose appropriate clothing, you must firstly identify potential risks or hazards in the working environment. When there are multiple hazards in the workplace, assess the equivalent protection level required so that protective clothing can keep workers safe effectively. Common hazards include harmful particles, liquids and gases. They may contact the skin through different methods, such as jet, spray, splash or soaking. When there is, for example, toxic liquid in the workplace, workers need to wear Type 3 or Type 4 protective clothing to protect themselves from getting hurt. 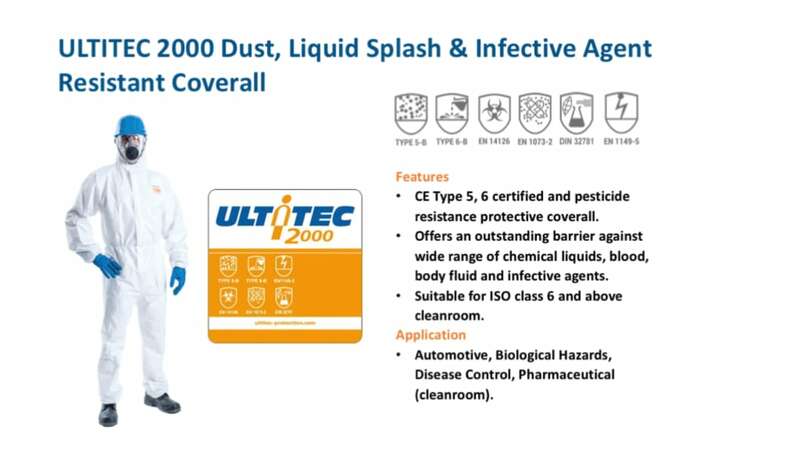 “Hope for the best, plan for the worst"
Fine tuned over decades of experience, ULTITEC offers comprehensive body protection, including protection from particulates, liquid, flame and chemicals. ULTITEC is committed to the belief that “Workers can go home safely and come back to work the next day”. We provide a series of product trainings to help the clients get to know why and how to select the right protective clothing, teaching people how to read the information and to apply it for selling and judging the situation. Furthermore, we also teach clients the proper donning and doffing of protective clothing, to make sure people can safely go home after work. 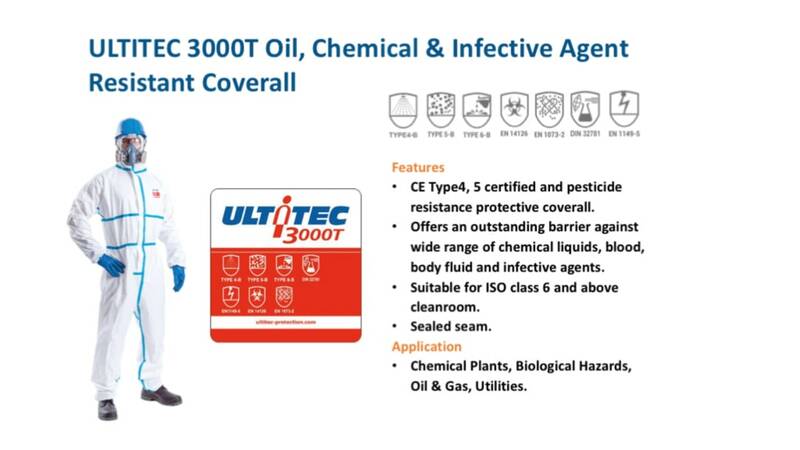 Targeting the Asian and Middle Eastern markets, ULTITEC, launched in 2008, merges Derekduck’s 26-year manufacturing technology and experiences. To date, ULTITEC has been launched in 22 countries and regions across Asia. We learn the market and users’ needs and make more workers get home safely, delivering on our commitment to safe work. This way, we can respond to the special needs that we have learnt firsthand and share those precious experiences with all clients.